Harold Siegel was my favorite conservative. He was also a PSI Advisory Council member…my brother’s father-in-law, and my friend. Harold passed away at age 89 on March 20 in New York City. He was still working at Excelsior Graphics, the business he built to prosperity. Harold was a Patriotic lover of this country, a great pool player, and someone who always listened to the other side. We bonded one night years ago after seeing his grandson, my nephew, perform at a college play. At a bar that night over beers, we discussed the need to take action to protect the environment. I learned he was an environmentalist, believing companies should take responsibility for reducing the impacts of the products they put on the market. Contrary to many conservatives, Harold saw no contradiction in a free market operating under needed regulation, which levels the playing field for all competitors. He gave me advice on how to frame issues so conservatives could support extended producer responsibility laws. I can’t say those strategies always worked, but many people don’t see the world as Harold did. The last time I spoke to Harold was at his granddaughter’s (my niece’s) wedding only a few weeks ago. He was in the hospital for the week leading up to the wedding, but rallied to be present at the big day. At the brunch the next day, he recounted what PSI was doing from the recent newsletter he read. He read them all, and remembered what he read. We were very different people. But in his decency, Harold engaged with me and others whose views were different. Through those conversations, we found important issues on which we agreed, and we built a strong relationship around environmental issues, which only strengthened our family ties. My favorite book as a kid was Harold and the Purple Crayon. It was, aptly, about a kid named Harold who used a purple crayon to draw his way through life. Whatever he needed and wanted, he drew it, and thus made his own reality. I believe Harold Siegel saw his own world in this way. He had a kind approach that others found attractive, and he manifested this approach in the world. I will miss him greatly, and I hope that his legacy of kindness, compassion, and willingness to engage with those with opposing views can be a lesson for us all. On Wednesday, December 5, John Waffenschmidt died peacefully, and unexpectedly, in his sleep. As the PSI team struggles with the sudden loss of a close colleague and friend, many fond memories of John have surfaced. Photo by Robert Klein. Left to right: Fenton Rood (Oklahoma Department of Environmental Quality), Scott Cassel (PSI), and John Waffenschmidt (Covanta) enjoying PSI’s 2017 Product Stewardship Forum in Boston. John brought a unique blend of talents and interests to his role as PSI’s point person at Covanta for a decade-long partnership between our organizations. The partnership is, in some ways, an unlikely one between an environmental organization and a waste management company. However, John found multiple ways we could work together, including the time he came to me with the business concept of destroying waste pharmaceuticals left in medicine cabinets, at no cost to government, in Covanta’s municipal waste-to-energy plants. To determine if our government members would support this concept, PSI convened two technical webinars and a briefing paper. John presented for Covanta and even offered a slot to a competitor that operates hazardous waste facilities. After rigorous questioning from state air quality regulators and others, two PSI state members stuck to their policy of hazardous waste incineration for waste medicines, but many others approved the use of solid waste combustion. This project helped pave the way for Covanta’s Rx4Safety program, which has provided free destruction for residents and governments of over 5 million pounds of waste medications. John and I worked closely on many other projects through the years, including joint presentations to state officials in support of EPR legislation and a mattress stewardship dialogue in Connecticut we facilitated and Covanta seed funded, which led to three state EPR laws for mattresses. My last conversation with John was a follow-up call he made immediately after a phone conversation in which he sensed a tinge of concern in my voice. He wanted to make sure that what he had conveyed to me was understood. He wanted to smooth out a minor ripple in our communications. I assured him we were good, and that our relationship was solid. That call left me with a strong feeling of humanity. John sensed something was not quite right, and he acted on it. His follow up call took 30 seconds, but it is the lasting feeling I have of John – of honesty, friendship, and peace. I want to wish you all a Happy New Year! As we step into 2017, those of us working on environmental issues have a big challenge ahead. How can we work together to reduce material consumption and, to quote Professor Bob Giegengack, “move toward a less unsustainable society”? We founded PSI in 2000 to represent state and local government views about product stewardship, and we received formal letters signed by chief environmental executives from 47 states pledging to work with PSI to encourage manufacturers to take responsibility for reducing the health and environmental impacts of their products. We have always worked for all state and local governments – those seeking regulatory changes, as well as those advancing voluntary initiatives. In our eyes, protecting the environment is a non-partisan issue. PSI actively pursues these goals. In fact, our mediation led to the nation’s first national product stewardship agreement with the paint industry, which resulted in an innovative system that has created over 200 jobs, saved over $69 million for governments, and recycled 16 million gallons of paint. To develop that agreement, the American Coatings Association, state and local governments, the U.S. EPA, retailers, and recyclers took a chance on a process that they could not fully control but that they could influence with their own ideas and interests. These leaders could have stepped away from that agreement at any time, but they did not. And they are all reaping the benefits. We need more leaders like this. We cannot afford to keep wasting resources. We need government leaders who will break from the bureaucratic status quo and innovate. We need manufacturing executives who will take risks that lead to greater competitive advantage and industry-wide change. We need recyclers who can artfully balance their operations in the realm of regulation with their allegiance to manufacturers who give them significant business. And we need retailers who can embrace a new role to collect consumer products and turn them back into the circular economy. PSI is ready to work with those of you who are willing to take a leadership role. You are needed. And now is the time. May we all be blessed with a healthy and productive 2017. It was one of those quiet moments of victory for environmentalists and public health advocates: In 2012, Alameda County’s Board of Supervisors unanimously adopted the nation’s first ordinance requiring pharmaceutical manufacturers to fund and manage a drug take-back program. 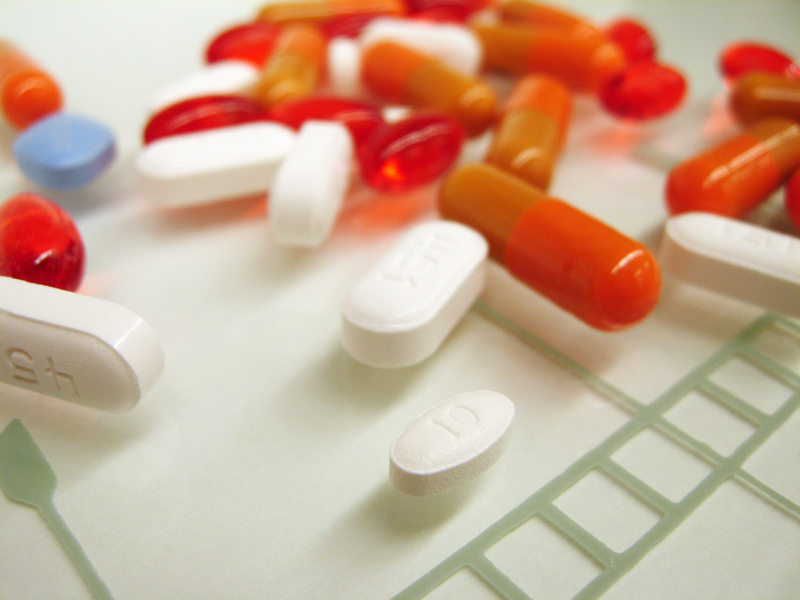 Millions of overprescribed, unused, and expired medications contribute to drug abuse, accidental poisonings, aquatic impacts, and water quality issues. The trash or drain is not a safe method for disposing drugs – which is why King County, Washington; San Mateo County, California; and San Francisco, California followed suit with similar ordinances. Big Pharma, however, has spent the last three years fighting back in the courts, arguing that the Alameda law interferes with interstate commerce. After two lower court decisions cited no interstate commerce violation, Big Pharma took the case to the U.S. Supreme Court. The high court recently declined to hear the pharmaceutical industry’s case against the Alameda County Safe Drug Disposal Ordinance. Whether Big Pharma will continue to pursue its costly litigation strategy remains to be seen, but one thing is clear: if the industry instead chose to collaborate, it could help shape a long-term, cost-effective solution that protects all interests – economic, health, and environmental. Drug take-back laws may be new, but laws requiring manufacturers to take responsibility for the safe disposal of their products are not. What’s more is that not all industries continuously push back and fight against such laws. Currently, there are 8 states (and the District of Columbia) that require the paint industry to fund and manage the recycling and safe disposal of leftover paint; all of these laws were developed in collaboration with the American Coatings Association (ACA), which represents over 95 percent of U.S. paint manufacturers. First some background: Back in 2002, the Product Stewardship Institute (PSI) asked the paint industry to take responsibility for managing leftover household paint because, when poured down the drain or sent to landfills, leftover paint threatens aquatic ecosystems and wastes valuable resources. Managing paint wastes is typically the most costly part of municipal household hazardous waste programs as well. PSI estimated that it would cost paint manufacturers about $650 million each year to safely recycle or dispose of the estimated 75 million gallons of leftover paint generated yearly in the United States. After initial reluctance, the paint industry agreed to meet with PSI and some of PSI’s state and local government members. After nearly a dozen meetings and multiple calls over four years, PSI and ACA reached an agreement in 2007 on a model state program that would be implemented nationwide. Since then, the nine aforementioned jurisdictions have used that model to adopt laws holding the paint industry responsible for collecting and properly managing all leftover paint in their area; similar bills are pending in another dozen states. As a result, 8 million gallons of paint have been diverted from disposal so far in the first five states in which the paint stewardship program has been implemented, saving local governments over $50 million in transportation and processing costs, according to paint industry estimates. What can the pharmaceutical industry learn from this? Producer responsibility doesn’t hurt the bottom line. 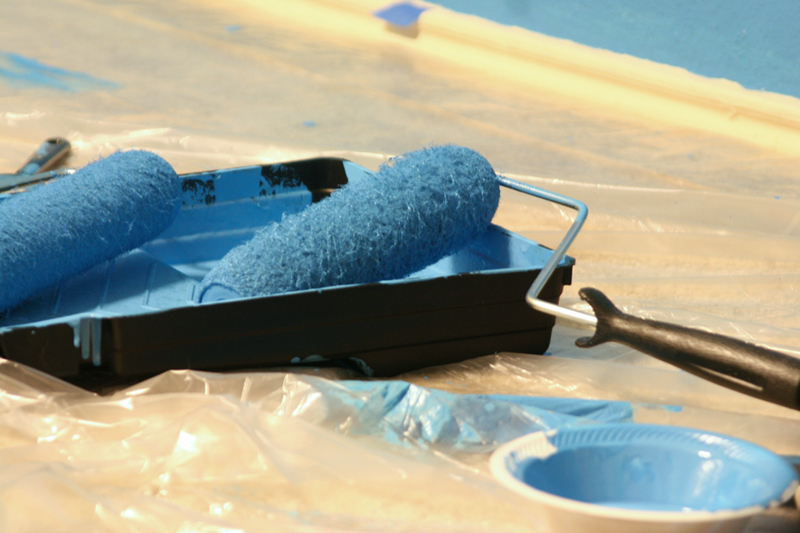 Since ACA’s PaintCare program was first adopted in Oregon in 2010, paint sales are still strong, retailers have the opportunity to offer a new service to their consumers, and paint recycling is on the rise. Through its PaintCare program, the paint industry has gotten out in front of the regulations, working with government to shape laws that fit with their business model. ACA representatives are regularly called upon to speak at state recycling conferences in sessions that highlight the industry’s successful demonstration of corporate sustainability and public-private collaboration. The lesson: an industry can take responsibility for its post-consumer products, and not only does it not hurt the bottom line – it often ends up benefitting them overall. Producer responsibility programs show immediate results. In just five years, the paint industry has made convenient paint take-backs available to at least 95% of residents in three states, and local governments have saved millions of dollars of taxpayer money. Unlike other recycling programs that funnel collected fees into a government fund and require significant government hours to manage (e.g., scrap tire laws), the paint stewardship program is largely run by the paint industry, alleviating the need for a large bureaucracy to handle day-to-day operations. Dialogue doesn’t mean a loss of control. It enables industry to shape policy that is effective and cost efficient. When PSI approached ACA with its request, the industry agreed to begin talks. What resulted was a national multi-stakeholder dialogue that led to joint research to answer key questions, such as “what will this program actually cost?” and “how will paint be collected and recycled?” From the beginning, ACA helped shape the program’s development; when the first bills were drafted, ACA was in the driver’s seat. The solution developed was an innovative funding model that worked for both industry and other stakeholders. With the number of prescription drug overdoses rising annually, the risk posed by leftover medications raises the stakes, as well as the opportunity, for the pharmaceutical industry to take the lead and create convenient medicine take-back programs for U.S. residents. Such a program is within reach, and would cost the pharmaceutical industry roughly $3.51 per capita annually for the safe collection and disposal of pharmaceuticals, according to estimates from King County, WA. Similar programs have operated for years in Canada and at least a dozen European countries, taking the financial burden off of taxpayers. This is clear: the pressure on the pharmaceutical industry isn’t going away. The path for industry-funded producer responsibility has been paved; with 88 producer responsibility laws operating in 33 states across the US for 12 different product categories, there is ample proof that take-back legislation can be implemented successfully. The pharmaceutical industry could be poised to become the next big success story – if it is willing. How do you build a successful thermostat collection program in a short period of time? That’s exactly how a new initiative was recently launched in Oklahoma. Covanta Tulsa, Locke Supply, the Oklahoma Department Environmental Quality (ODEQ), the Thermostat Recycling Corporation (TRC), and the Product Stewardship Institute (PSI) teamed up to start a new state-wide collection program in a relatively short period of time. Covanta has a long history of caring about the proper disposal of mercury-containing items, and the need for a collection program in Oklahoma was evident. Using the positive relationships we have built in the many years we have operated in the state, we were pleased to be the catalyst that brought these diverse groups together to provide a convenient way to responsibly recycle mercury-containing thermostats. Thanks to the collaborative work of the five aforementioned organizations, citizens and contractors are now able to deliver intact old thermostats to any Locke Supply location for recycling free of charge. The thermostat recycling initiative in Oklahoma began with a brief meeting with Fenton Rood of ODEQ to develop a state-wide solution for thermostat recycling that could supplement periodic household hazardous waste collection days that are held in some communities. From there, we decided to look for a retail storefront solution that would allow ubiquitous collection during normal business hours. Locke Supply, with their numerous locations around the state, was the perfect fit. Thermostat recycling containers are now in place at convenient and accessible locations throughout Oklahoma. When full, containers will be shipped to TRC for proper disposal and recycling. In an attempt to incentivize collection even further, Locke Supply obtained participation from a few of their new thermostat suppliers to offer a “bounty” program: bring in an old thermostat with mercury switches and Locke Supply will provide a $10 coupon for a programmable replacement thermostat. 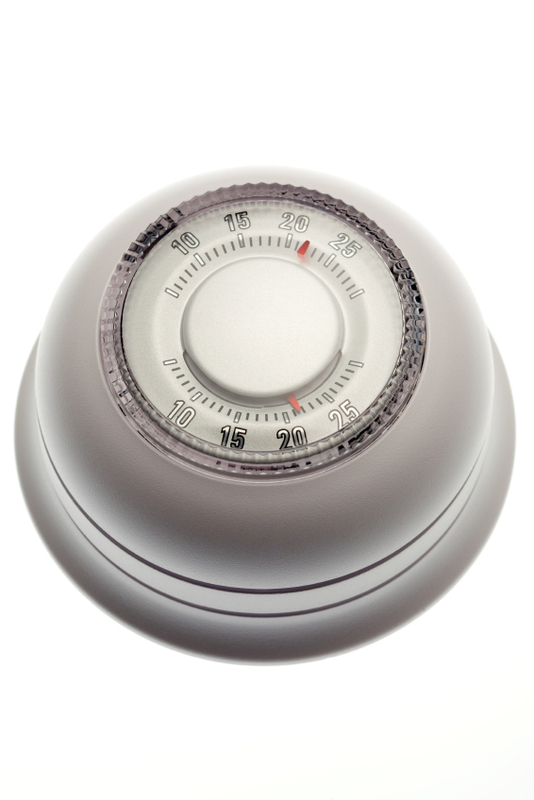 Mercury thermostat recovery and recycling offers everyone the opportunity to eliminate a toxic material from the waste stream, while incentivizing the purchase of electronic thermostats that allow for more efficient heating and cooling. By identifying a diverse group of organizations with common interests, Covanta has now proudly provided one more way to protect the state’s land, air and water from unnecessary pollution. Matt Newman joined Covanta Energy in 2008 and has over 25 years experience in the energy industry which includes renewable energy, electricity generation, asset optimization, risk management and fossil fuel management. In his current position, Mr. Newman is responsible for all business aspects for the Covanta Tulsa Renewable Energy, LLC, as well as carrying additional responsibilities for the South Region of Covanta Energy’s extensive fleet of Energy from Waste facilities in the United States. For additional information, Matt may be reached at mnewman@covanta.com. Looking to start a thermostat collection program like this one in your area? Contact PSI for guidance at suna@productstewardship.us or (617) 671-0616. After 14 years, I have a newfound appreciation for PSI’s dialogue process. I mediated a bill with full stakeholder input. As it turned out, the Massachusetts Petroleum Council (MPC) honored me not long afterwards as “Bureaucrat of the Year.” (They had actually intended that to be a compliment!). It was one of the first times that the MPC had come to an agreement with the state’s two leading environmental groups – the Massachusetts Public Interest Research Group (MassPIRG) and the Environmental League of Massachusetts (ELM). Of course, the agreement was not my doing. It was only possible because experts from MPC, ELM, MassPIRG, and other key stakeholder groups were so skilled at representing their constituencies and understanding the issue of used motor oil recycling. They just needed a conductor. Fast forward to today, in my role of Chief Executive Officer of PSI, and I still follow the same process that I first developed and put to use in the 1990s! It made the most sense to me then, and it makes the most sense to me, now. PSI is, after all, more of an orchestra leader than a virtuoso performer. We blend the range of stakeholder interests to achieve a solution that is sustainable – it’s all about money, jobs, and the environment. Yes, PSI has an agenda – we support a strong role for producers. We believe that, in cases where post-consumer products have a negative value – where the cost of collecting and managing that product is greater than the value derived from its resale – legislation is the best way to create a level playing field that is fairest for all market competitors. However, we are pragmatists who seek negotiated solutions within the parameters of a large product stewardship arena. PSI takes its cue from the expert “performers.” We attempt to meld progressive environmental group interests with risk-averse business interests – all while operating under the auspices of an organization that represents state and local government agencies that serve the public interest. We identify waste management problems, define a product-focused problem jointly with other stakeholders, seek joint goals, determine barriers to achieving those goals, identify possible solutions, and facilitate discussions to seek a common solution. Our understanding of waste management, bolstered by our network of members and partners, runs wide and deep, equipping us with both a bird’s eye perspective of the “big picture” and a unique knowledge of on-the-ground issues. As it turns out, a state and local government forum offers one of the best opportunities for a fair and balanced discussion among divergent stakeholder groups. It excels at raising and resolving issues – resulting in reduced waste, more recycling, new jobs, and lower costs for governments and taxpayers. The reason is fairly simple. PSI has an essential element: 47 state member agencies and hundreds of local government members that are on the front lines of managing waste. We take our lead from these officials, and many are in a position to impose legislated solutions on manufacturers. This unique political dynamic benefits not only governments, but also companies that wish to avoid having to juggle compliance with 50 different programs in 50 states. Over the years, I have watched other stakeholder meetings fall short of achieving their goals, and most times, it was for one or more of the following reasons: 1) not all key stakeholders were represented; 2) not all key issues or viable solutions were discussed; 3) the problem was ill-defined and/or the goals were not well-articulated; or 4.) the meeting did not foster the necessary political dynamic. On June 11-12, PSI will convene a forum of stakeholders to increase the recycling of single-use and rechargeable batteries by developing model legislation. PSI’s effort will begin the nation’s first attempt at developing a model legislative solution for both battery types, with the support of both battery industry associations. Although there are many tough issues to resolve, all battery manufacturers share the desire to increase the recycling of their batteries. How we do it is key, and finding the right path will require the blending of multiple interests. On May 11-12, PSI will convene a similar first-time forum to increase the recycling of scrap carpet by developing model legislation. Although carpet manufacturers fully support the goal of increasing recycling, they prefer a voluntary approach and oppose legislation. Increasingly, however, PSI is gaining the support of other product manufacturers for an EPR legislative solution—perhaps because of our ability to integrate their interests with those of our government members. The paint industry was the first to recognize the benefit of working with a national organization to develop a state-based model that could be rolled out nationwide. We hope to replicate that success with carpet, batteries, and other industry groups. As the years go by and companies understand that money can be saved, jobs can be created, and waste can be reduced through EPR laws, opposition will surely erode and support will grow. It is inevitable because that is the writing on the wall. The only question is how painful or prosperous that journey will be along the way. Will poor laws be created that result in fewer benefits, or will strong collaborative efforts lead to effective laws with maximum benefits for all? I will put my eggs into the collaborative basket, not because of blind faith, but because of the public and private conversations that I have every week with corporate officials who want to address the real waste management problems of our society. They want to do whatever it takes to change our world for the better, for their kids and grandkids, and for themselves. But this will require more product manufacturers to seriously engage in EPR legislative discussions. The good news is that history tends to repeat itself. Much in the same way that PSI has experienced growing success with the same dialogue process that I started more than 20 years ago, I am confident that industries will, one by one, come to the table the way MPC did in the 1990s. The way the paint industry did in the 2000s. The way the battery and mattress industries are doing right now. When the day comes that PSI orchestrates an open dialogue with all industries and government, well… you’ll have never known a happier (former) Bureaucrat of the Year.